Local business owners are some of the hardest workers in our communities. That’s why we work hard to provide them the best financial services possible. 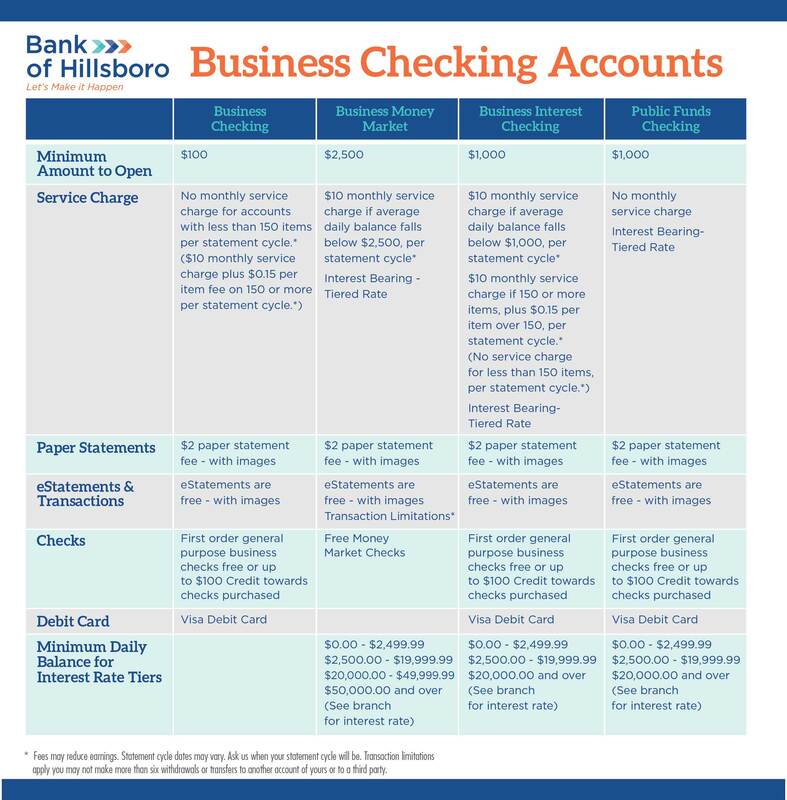 Bank of Hillsboro will help you develop the best banking package for your company’s specific needs. Whether your business is a small shop downtown or an online retailer, we will work with you to develop the perfect customized plan. Click here for details on all our Business Accounts.